Neil Wilson was very professional throughout the whole process ensuring that we got THE BEST price for the sale and also a very quick sale. 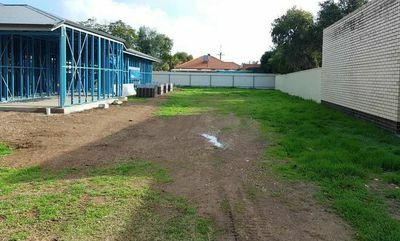 He specialises in the West Torrens Council Area and it shows. Excellent result. Exceeded our expectations with the speed of the sale. 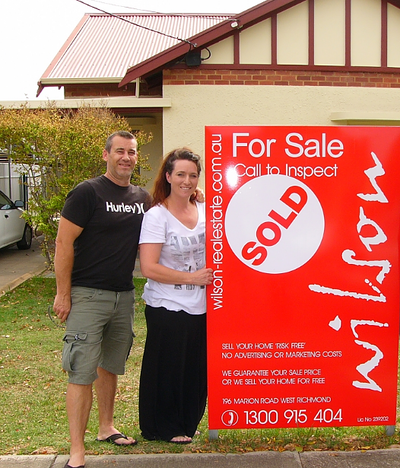 Neil and his team know the area so well, we felt so comfortable selling our home with them. We also have a 3 year old and felt so happy and pleased that Neil always accommodated to our needs because of her. Neil was never too busy for a coffee and a chat just to let us know where things were at. WE WILL NEVER SELL ANOTHER PROPERTY THROUGH ANYBODY ELSE BUT WILSON REAL ESTATE!! 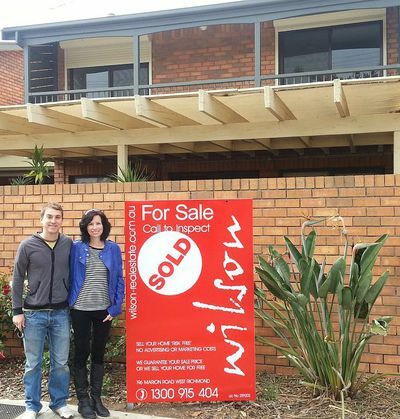 We chose Wilson Real Estate because of the NO ADVERTISING FEES and NO SALE NO CHARGE policy. Neil is straightforward and gives his honest evaluation of the property's realistic value. He presents thorough research into properties that have sold in the area to support his evaluation. "The short time taken to sell was excellent!" "Neil was the best agent to sell our property"
Before we came to Wilson Real Estate, our house was on the market with another agent. He inflated the price and unfortunately the house was on the market for more than three months and nothing happened. We then approached Neil Wilson. After our initial meeting with Neil, we were impressed with how clearly he explained all the relevant details and from this we knew Neil was the best agent to sell our property. He was more than happy to bring the house in the market and was able to sell the house for more than the expected price within one week! We would like to thank Neil for the sale of our property. He has shown exceptional knowledge of the market and was extremely easy to deal with throughout the whole process. He had consistently informed us of the proceedings which made us as the owner feel a lot more relaxed. I would recommend Neil and Wilson Real Estate with total confidence to anyone who wants to sell their property, with an agent who truly works with you every step of the way. 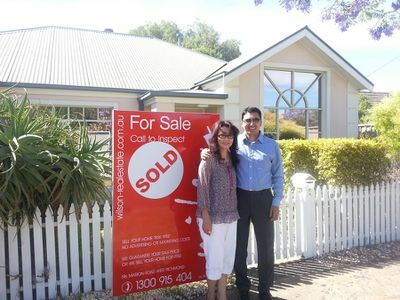 "We love the ‘Real’ approach"
Neil's research was thorough and helped us to set a realistic price for a quick sale. We love the ‘Real’ approach, Honest and with evidence. 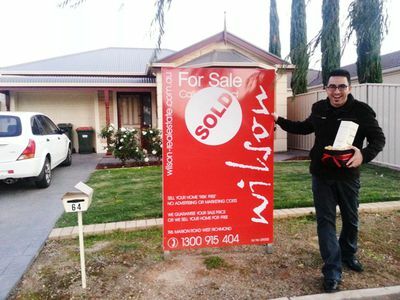 What made us choose Wilson Real Estate was the No upfront Fees, Local knowledge and the research that Neil presented to us. 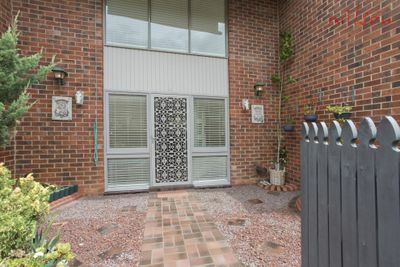 The property was online with some brilliant photos very quickly. The whole process was without a hassle! The sale was an uncomplicated process with a good result.
" Sale price was above our expectations"
Neil was great, excellent communication that kept us informed from start to finish. 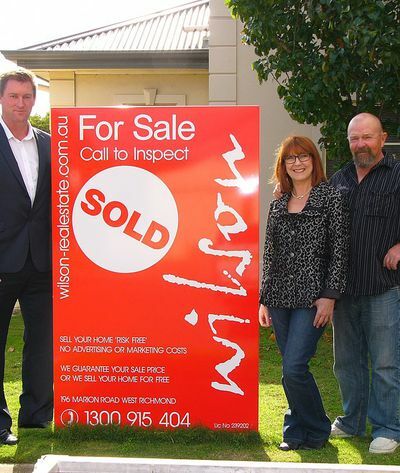 What made us choose Wilson Real Estate was Neil's local knowledge of the area and the no advertising fees. Sale price was above our expectations, so very happy! Thankyou Wilson Real Estate. "We were so happy with Neil's professionalism and service"
We initially found out about Wilson Real Estate from a flyer in our mailbox. Upon contact, Neil Wilson called back to arrange a consultation at our unit to discuss the process. We were impressed by Neil's quick response and he provided detailed documentation relating to comparable properties and pricing for us to make a decision. What made us choose Wilson Real Estate was the NO MARKETING FEES, NO SALE NO FEE and We were able to do inspection by appointment only. 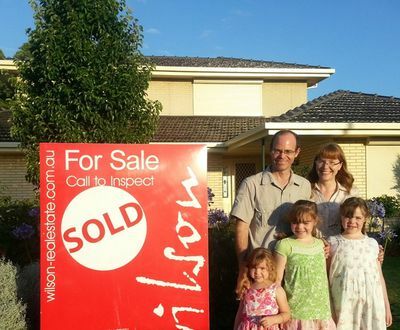 We were so happy with Neil's professionalism and service, that we would not hesitate to recommend Wilson Real Estate. We are very happy with Neil's approach to selling, no fuss or bother. 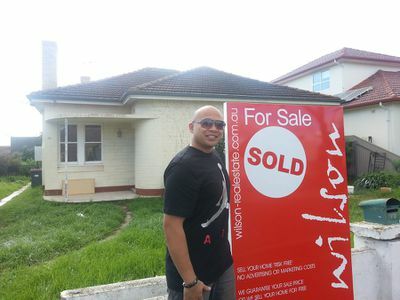 As we have previously done business with Wilson Real Estate we decided to contact them again. Efficiency, honesty and fair pricing were important factors for us when deciding to sell with Neil. There were no outrageous promises or unrealistic quotes regarding sale price! Neil kept us up to date with the progress of the selling procedure, we did not have to ring them ourselves to find out! We felt no pressure throughout the process! Quick Sale. Quick Settlement. Overall a very happy result! 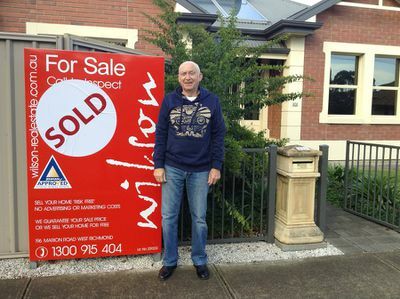 A sincere thank you to Neil and the Wilson Real Estate team on an exceptional outcome on the sale of my property. I purchased the 1920’s bungalow, 5 years prior, in a state for demolition. 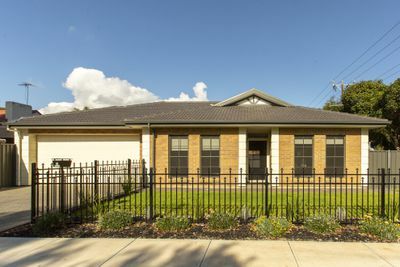 The labour of love, renovating the property to its former glory, was recognised, respected and marketed to successfully reach a buyer who fully appreciated the property. An exceptional financial save (no advertising costs), complemented with minimal inconvenience. When choosing Wilson Real Estate, I greatly appreciated/recognised Neil’s knowledge of the Richmond area and market, his honest approach and all-inclusive fee structure. Neil and his team delivered an outstanding result with minimal impact to my privacy/schedule. For example, inspection by appointment. Neil and his team are commended on their enthusiasm, respect, professionalism and personal approach – resulting in a highly successful outcome to a 5-year renovation journey. Although such a property is not easily parted with, I couldn’t be happier with the service of Wilson Real Estate and will continue to recommended Neil and his team’s services. The all-inclusive costs kept the sale simple and efficient/effective – resulting in the wonderful outcome. As an ongoing resident/owner in the area I look forward to having Neil and his team represent my property again. "He is interested in selling your property, not selling hope or promises that can’t be met or fulfilled." All my working life I have been involved in sales. For me personally I have always been ethical in my approach, as it is important that people trust you as a person. The website covered these point, but meeting and talking with Neil convinced me that he is what his website is. Honest and ethical. I looked at four Real Estate Agents before settling on Wilson Real Estate. The reviews and testimonials were Excellent and the web page gave the values and ethics of Wilson Real Estate these were important factors for me. My reason for using Wilson Real Estate is Neil Wilson. Neil is prepared to listen and understand your requirements, and then in a clear and professional manner explains the difference between Wilson Real Estate and other companies. My past experience with other companies has proven this to be correct. Neil thoroughly researches and understands the market. He is interested in selling your property, not selling hope or promises that can’t be met or fulfilled. My unit sold in 2 weeks and at the price we had agreed on. Neil was always contacted and easy to deal with and the sale went through smoothly. I would use wilson Real Estate again. "Achieving above the advertised price was excellent!" 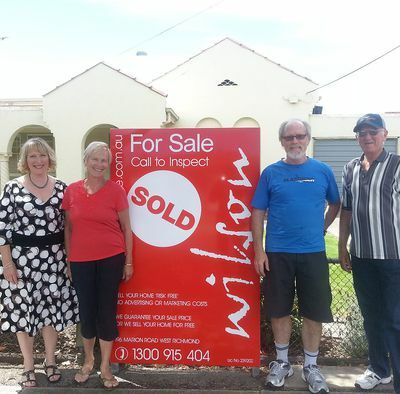 We could not fault the service provided by Wilson Real Estate. We were treated with exemplary courtesy, professionalism and respect at all times. 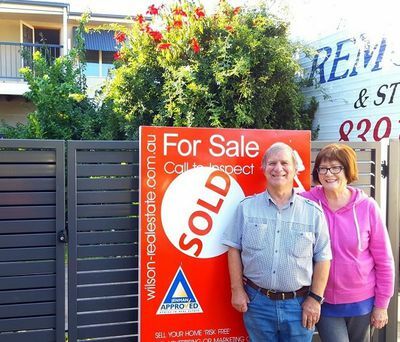 Neil Wilson is a totally honest and very experienced real estate negotiator who achieved above the asking price within 2 weeks of advertising. We could not have done better. Achieving above the advertised price was excellent! "We couldn't be more pleased with our results"
After dealing with all the usual well known agents and getting the same spiel, "We will promise blablabla as long as you pay us anywhere from $1000 to $2500 up front marketing fee". It was extremely refreshing to deal with an agent that gave honest and realistic information. Wilson not only promised a guaranteed price but spent time and effort getting it absolutely RIGHT the first time! NO up front fees or charges even though he was giving us the exact same marketing services, in fact in some cases more professional. We couldn't believe it but we found what Neil promised was exactly what we received, great photos, marketing and hitting the market exactly in the right range... We sold for more than we expected with only ONE showing, we couldn't be more pleased with our results and have absolutely no hesitation in recommending Neil and his team at Wilson to all our family and friends. Thank you! 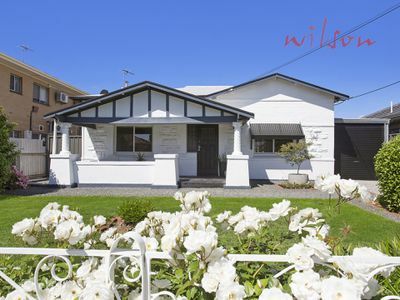 “Our house sale with Wilson Real Estate was everything we hoped for "
Our house sale with Wilson Real Estate was everything we hoped for – it went swiftly and smoothly taking all the hassle out of what we thought would be a stressful process. Right from the first phone call to Neil through to the handing over of the keys we were given plenty of helpful, honest advice and felt we could trust Neil and his colleagues in taking on our sale. Their professional approach we felt also helped at the inspections and within a very short time we had the offer we needed and the sale went through. We would like to give a big thanks to Neil and his team for their help and certainly recommend their method and ability in the real estate world. "We made the very best decision to bid for his Real Estate services"
Neil Wilson is very professional, friendly, and helpful – nothing is too much trouble for him or his staff. We made the very best decision to bid for his Real Estate services at the Cowandilla Primary School Quiz Night. Go with Neil Wilson and Wilson Real Estate and thank you for everything. "Professional, knowledgeable and most importantly compassionate to my personal circumstances." In the space of a week life as I knew it had been turned upside down and as a result I needed to sell the my home. Enter Neil Wilson of Wilson Real Estate. Professional, knowledgeable and most importantly compassionate to my personal circumstances. From the very start Neil made me feel at ease and confident in his ability. Best of all Neil loved my home as much as I did and was determined to help me sell it so that I could start my new life. Neil researched property prices and spent a considerable amount of his time talking me through the process before we set a price. As there are no open inspections, every time Neil called to inform me he had an interested party I knew it was a potential buyer who was financially ready to purchase. It took Neil two weeks to sell my home and I got the exact price we had agreed on. It was such an easy, pain free process all due to the time, care and patience Neil took to explain all the details and finer points. I would have no hesitation in recommending Neil and his friendly, professional team at Wilson Real Estate. Neil, you know my story and I truly believe our paths crossed because you were meant to help me make this transition in my life smoother. I can't thank you enough. "A true professional in the business." Thank you for your recent agency to sell our mother's house. Right from the first time my siblings and I sat with you to discuss your engagement as our agent to sell the house, I could see that your proposed style was in accord with my sense of ethics and you seemed like a "can do" person as well as a true professional in the business. And so it was that we took you on as our agent. But, your down-to-earth likeable personality plus looking the part had a lot to do with it as well! From that time on, you were always helpful and courteous when any of us had a question or request, and you lived up to your initial impression. And of course, in the back of my mind I felt that your style as I've just described, would be very good for succeeding in achieving a sale, which indeed you did, quickly and in good style, and by that I include that the buyer was also made to feel happy and comfortable with the process. Importantly, a real estate agent, when a sale occurs, is involved in an event which is of huge significance, financially and emotionally to both the seller and buyer, and you Neil understood that well and treated (us) the seller, and presumably the buyer with appropriate empathy, which now leaves us all, I'm sure, with the best possible feeling about the whole experience. Well worth your fee! All the best, Geoff Pearson. "We believe he is a credit to the industry and highly recommend him to anyone." From the first meeting, Neil Wilson appeared to be an easy going friendly person with a genuine intent and integrity to help us sell our property. He returned with up to date sales data for a market price appraisal, also explained the traps to watch out for when selling a house and the total costs involved. He left us to make our decision without sales pressure techniques to sign a contract, to decide when we were ready to sell our house. He provided ongoing support and reports of progress of sale and the best part - he required no deposits or advance payments. As he said No Sale No Fee! We believe he is a credit to the industry and highly recommend him to anyone. "What can we say... thank you Neil!" What can we say... thank you Neil! Our first attempt at selling our home was a financial disaster! 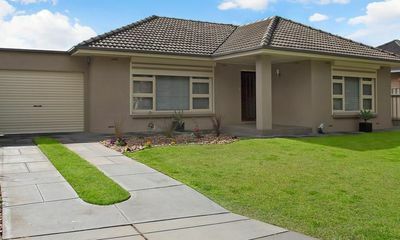 Six months on the market and in excess of 20 open inspections WITHOUT one offer.... not to mention that the price we had been quoted was in excess of $100,000 more than the market would end up giving us. The financial loss to us was very substantial due to all the money that was wasted on advertising and marketing expenses in pursuit of a sale price that simply wasn't possible! 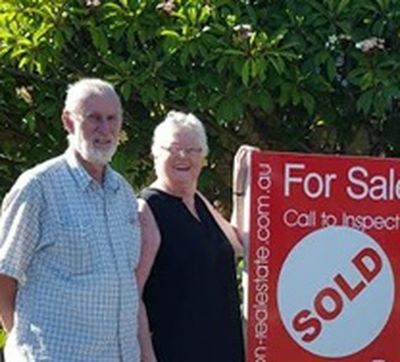 Had we known about Neil Wilson and Wilson Real Estate before choosing the other local agent, we are certain the outcome would have been a whole lot better for us... the first time. Thank you Neil for being honest with us at all times regarding the market and the buyer interest that you received. Thank you for not charging any marketing or advertising costs either.... what a BIG difference that is. Our only regret is that you weren't our first agent of choice. "extremely satisfied and would highly recommend"
Had the pleasure of dealing with Neil to sell my property recently and he couldn’t have made the process any easier was a joy to deal with him. 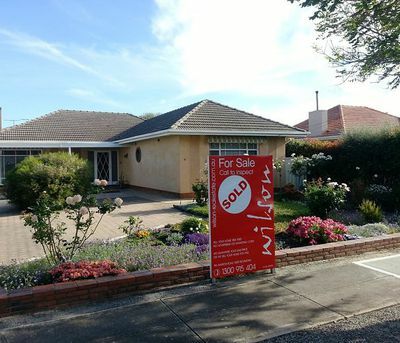 Living remote of Adelaide I was a little concerned about how I would be able to go about the selling process but Neil put forward a great plan which he more importantly followed through on to which lead to a speedy sale. Neil came up with a great strategy to achieve a fantastic result on the sale of the property that left me extremely satisfied and would highly recommend Neil to anyone looking to do any property dealing in the future. "Professional integrity is very important to us, and Neil provided this at all times." We used Neil Wilson on a recommendation and were very satisfied with the results. Neil is unflappable, relaxed and certainly put us at ease during what can be a stressful time selling your family home. The results he achieved were outstanding, and it was all done in a short space of time with no fuss. Professional integrity is very important to us, and Neil provided this at all times. Quick and responsive, we cannot recommend Neil highly enough. "Wilson Real Estate can dominate in the market." If Neil can train more staff like himself. Wilson Real Estate can dominate in the market. "We really liked that no open inspections were necessary." 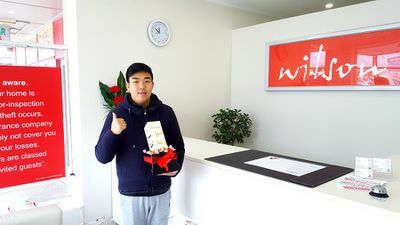 Thank you for your efforts in finding the buyer for our home. We truly appreciated the manner in which you represented our interest in the sale of our home. We really liked that no open inspections were necessary. We had real concerns about who might wander through our property whilst we weren't there. 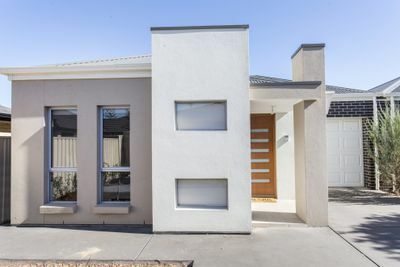 Only a handful of people viewed our home by appointment with you and with great relief the buyer appeared just at the right time to enable the purchase of a home we had commenced in Western Australia. Timing was very important in this sale! We also really liked the fact that you did not ask any money whatsoever for the marketing of our home. From our understanding, other agents charge many thousands of dollars to do this. You proved that it is not necessary to spend this money and that you do indeed succeed in attracting the right buyers to the properties you have for sale. We hope this letter finds its way to future potential home sellers that decide to speak with you further as a result of reading this recommendation from us. You are well worth your service fee. "Please put your faith in this company, the staff and the man at the helm, Neil Wilson." Wilson Real Estate not only helped sell our house but was completely transparent about the whole process. Neil was extremely professional and a breath of fresh air after dealings with other agents that over promise and under deliver. Please put your faith in this company, the staff and the man at the helm, Neil Wilson. Thanks again, from another happy customer! "In every area of this process, our expectations were not only met, but exceeded." 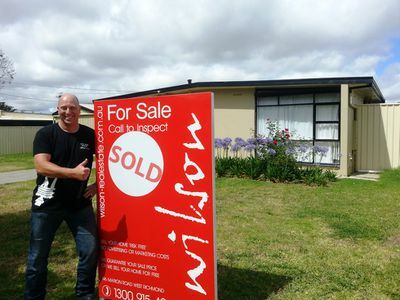 We dealt with Neil Wilson from Wilson Real Estate and his service was extremely professional. In our current financial circumstances, we were hoping for a relatively quick sale, and that is certainly what Neil delivered. Being a family company and not having to pay a single cent upfront appealed to us, yet we were unsure of what to expect as this was unexplored territory to us. Neil's friendly approach combined with his extensive knowledge made this such a comfortable experience. No pressure at all. Being involved in sales myself it is rare to see this level and quality of service. Within a week our house was sold and settled in just under 30 days later. In every area of this process, our expectations were not only met, but exceeded. Genuinely went the extra mile. We are very grateful we dealt with Wilson Real Estate. Sincerely, a massive thank you for your astoundingly exceptional customer service! "Neil has a strong work ethic and a great belief that there are several buyers for every property, you just have to look for them"
Having decided to sell our house in Richmond, it was crucial that we hired a real estate agent that wanted to get us the fairest and best deal that was possible for our property, and who was willing to work for and with us. We met with several agents and it felt like it was all about the quick sale, with a sales approach that meant a hefty outlay of money for advertising (we were shocked at the excessive advertising costs that they quoted us, these costs ranged between $3,000 up to $5,000!). In amongst all the agents we met, there was one agent who stood out with his friendly and positive attitude, his honesty and his enthusiastic approach to the sale of our property, not to mention, to our shock and surprise that no advertising costs were involved either before or after the sale of the property. The agent was Neil Wilson from 'Wilson Real Estate'. 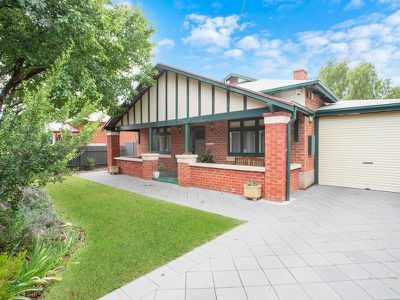 Neil actually went away after we first met him and researched properties in our suburb AND surrounding suburbs that were similar to ours, so that he could get a fair price guide for us. He then explained that the ONLY cost for us would be his professional fee after the sale. The beauty of this is that if Neil cannot achieve the minimum price he says he can, then his professional fee automatically becomes negotiable, and the seller and Neil can sit down and determine what they consider is a fair fee to pay, if anything at all, as he advertises. This was a bonus for us, and combined with Neil's approach and no advertising fees, we felt confident with having Neil as our agent. Neil explained his sales strategy clearly to us, and let us know that we would work together to get the sale done, and he would be flexible in his approach to the sale, which he was. Also, Neil would always return calls, make time to meet with us if necessary, and would always keep us informed on any new developments that were taking place. Throughout the campaign to sell our house, Neil remained positive and was reassuring through those anxious moments that can pop up when selling a house. 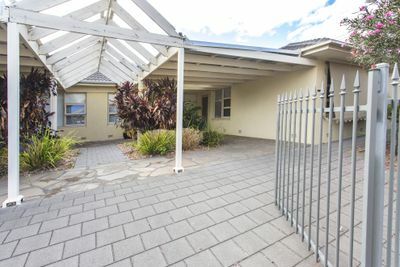 His approach to selling the property was successful and the sale was completed within an 8 week period at a time when the market was said to be struggling. Neil achieved a price for us that all parties involved were happy with, and we saved several thousand dollars along the way by trusting him with the advertising approach he took. Neil has a strong work ethic and a great belief that there are several buyers for every property, you just have to look for them, and sometimes you have to be a bit patient. Wilson Real Estate is a small family business and it created for us the feeling that the client is the most important part of a business. I believe that I am an honest and grounded person who has strong family values, and I can see those same characteristics in Neil. He was good to his word throughout the sale process. 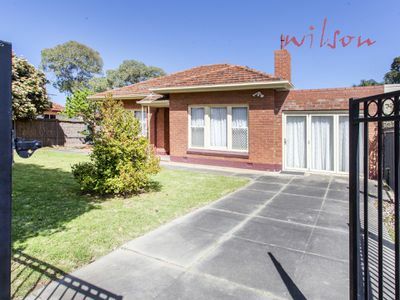 With confidence, I can say that Neil will work hard to achieve the best possible result for you and your family, and I would highly recommend that you consider using Wilson Real Estate if looking to sell your property. It was a pleasure to get to know Neil and I would happily use his services again. "We actually had a stress free and enjoyable sale and are most grateful." 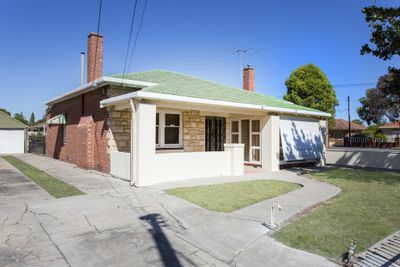 We just wanted to thank you so much for the recent sale of our home in Kurralta Park. "Throughout the entire sale process Neil was fantastic." Throughout the entire sale process Neil was fantastic. He always made the time to provide an update or advice, making the overall experience as smooth as possible, this was especially appreciated considering I reside interstate. I also found Neil to be such an easy person to deal with and to be honest, their business model for selling properties just makes sense. I would not hesitate doing business with these guys again! "Choosing your agency was a simple decision." Having lived in our home in West Richmond for 57 years, the decision to move was made as we had secured a retirement unit to move into. Prior to deciding to sell, we had received a letter from your agency which outlined your service benefits to home sellers. We kept that letter because what you offered was very attractive and as far as we knew no other agency in the area would offer the same benefits to us. Choosing your agency was a simple decision. 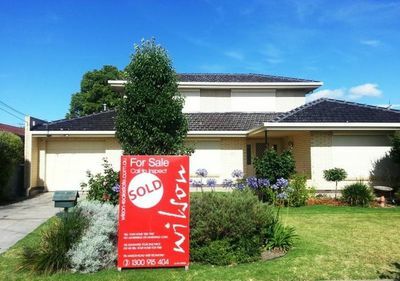 You offered a risk free selling opportunity which guaranteed no costs at all if a buyer could not be found, in addition to a guarantee of no advertising or marketing expenses upfront or after the sale... 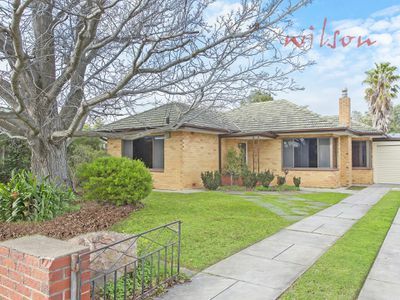 When you first met with us the information that you provided about other home sales within West Richmond painted a pretty dim picture on what we could potentially expect. Fortunately we started at a much higher price than this information suggested and as a result we achieved an amount $10,000 more than we ever expected to get! Although there were a couple of hiccups in reaching settlement on our home (of which you kept us informed) the delay was well worth the wait. We won't be needing the services of a real estate agent again but we will speak highly of you if anyone we know is thinking to sell their home. 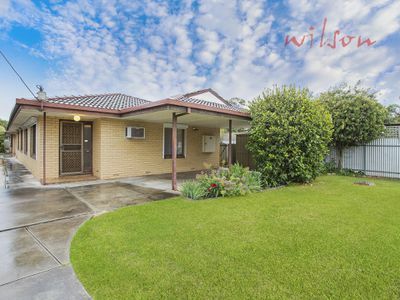 "The whole team are exceptional and we would definitely use Wilson Real Estate again." 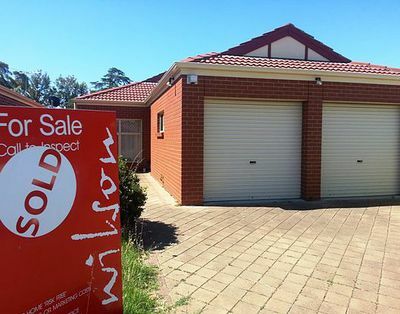 Neil Wilson of Wilson Real Estate sold our property in Glandore. Our home was on the market for five days and we accepted an offer which was approximately $30,000 above the asking price. Viewing is by appointment, so no open inspections, no advertising costs, just excellent professional work. 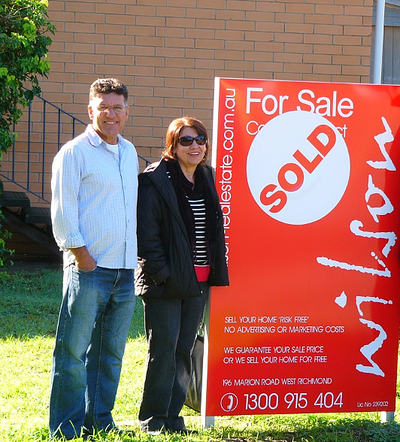 The whole team are exceptional and we would definitely use Wilson Real Estate again. 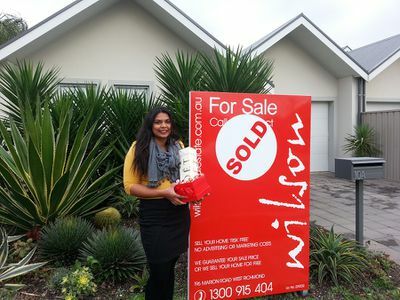 "Our house sale with Wilson Real Estate was everything we hoped for"
Our house sale with Wilson Real Estate was everything we hoped for – it went swiftly and smoothly taking all the hassle out of what we thought would be a stressful process. Right from the first phone call to Neil through to the handing over of the keys we were given plenty of helpful, honest advice and felt we could trust Neil and his colleagues in taking on our sale. Their professional approach we felt also helped at the inspections and within a very short time we had the offer we needed and the sale went through. We would like to give a big thanks to Neil and his team for their help and certainly recommend their method and ability in the real estate world.